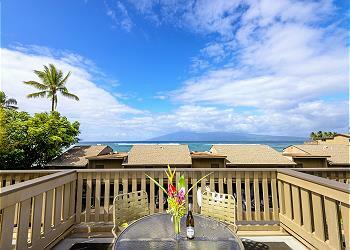 Come and enjoy the amazing views and sunsets at Kahana Sunset Oceanfront Condos!! This beautiful 2-bedroom, 2-bathroom condo with breathtaking views of the ocean provides everything you need for your vacation in paradise. With a fully equipped kitchen for those nights at home relaxing, and preparing a home cooked meal to enjoy out on your spacious and private lanai! There is no place on island like the Kahana Sunset! This quiet, extremely private setting is the perfect Hawaiian getaway. Spend your days between the pool and the beach or relaxing on one of your two, very spacious lanais. Enjoy being only a one-minute walk to the beach for sunbathing, swimming, snorkeling, and paddle boarding. This low-key, waterfront condo resort sits on Keoni Nu'i Bay, 1.2 miles from Kapalua Bay Beach and 31.4 miles from downtown Kahului (OGG airport). The resort also has one of the only heated swimming pools on Maui, and two BBQ areas with gas grills for your use. There is free parking on site as well! Great for families, couples, or groups of friends looking for a relaxing vacation away from it all. There is no AC in this unit, although this area rarely needs it due to the wonderful trade wind breezes and the overall location is so much cooler that other areas of Lahaina!! Please come stay at the Kahana Sunset Unit E4, you will want to come back again and again.